It’s no surprise we are big LEGO fans here at Inhabitat – the iconic building blocks can be used to create everything from cameras and furniture to apartments and massive cathedrals. Now the toy maker is making headlines again by investing $500 million into green energy. Denmark-based LEGO will buy almost a third of a brand new German offshore wind power project planned by DONG Energy company. The investment will account for 32% of the 277 megawatt Borkum Riffgund wind farm 35 miles off the Northwest coast of Germany. This pricey move will not only help power the German grid, but will hopefully supply nearly all of LEGO’s energy needs with wind power. 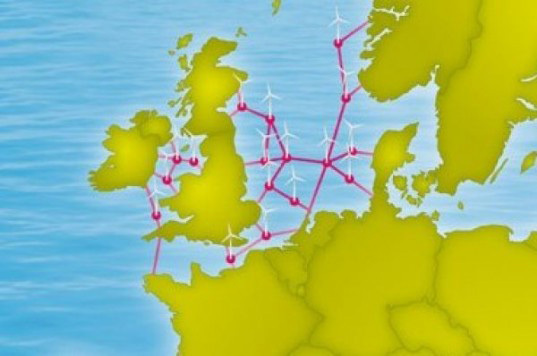 The North Sea wind farm will consist of 77 Siemens wind turbines, each of which can produce 3.6 megawatts of energy — enough to supply power to more than 285,000 homes. This is the first investment of its kind for LEGO, and the company is DONG’s very first corporate investor – the partnership sets a new standard for environmental outreach and alternative energy for large international companies. The investment will not only provide renewable energy for the public but will also generate a long-term return for LEGO if their entire manufacturing facility can be powered by wind. The turbine farm is expected to be fully functional by 2015 and is anticipated to produce more electricity than LEGO can consume by 2020. It's no surprise we are big LEGO fans here at Inhabitat - the iconic building blocks can be used to create everything from cameras and furniture to apartments and massive cathedrals. Now the toy maker is making headlines again by investing $500 million into green energy. Denmark-based LEGO will buy almost a third of a brand new German offshore wind power project planned by DONG Energy company. The investment will account for 32% of the 277 megawatt Borkum Riffgund wind farm 35 miles off the Northwest coast of Germany. 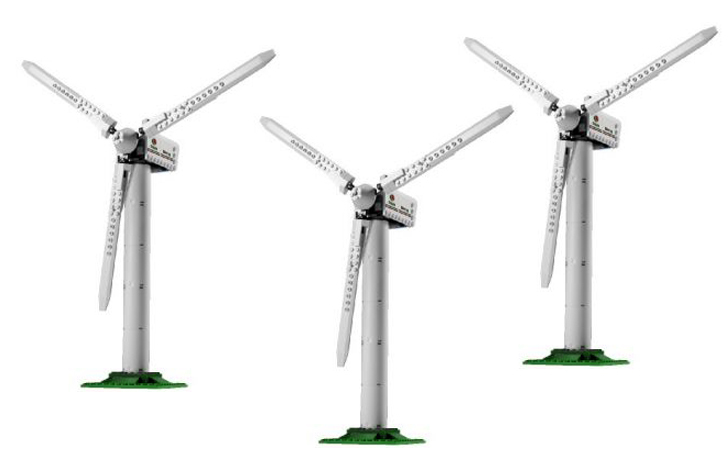 This pricey move will not only help power the German grid, but will hopefully supply nearly all of LEGO's energy needs with wind power.